Marie A. Danik of Wellington, FL., formerly of McKees Rocks passed away on Tuesday, November 13, 2018 at the age of 78. Marie was the beloved mother of Jeff (Teri) Danik of Palm Beach County FL., and Kimberly Danik of Cleveland, OH. 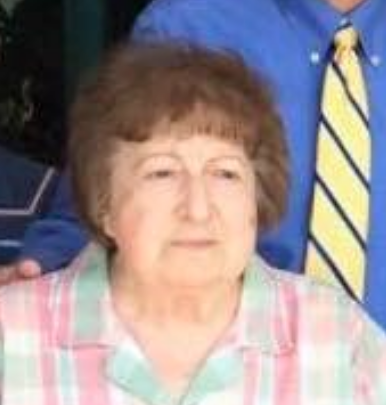 She was the loving grandmother of Jacob, Zachary, Luke, Max and Eric; Dear sister of Bena DiDonato (Tabella) of Pittsburgh; Loving Aunt to Dario (Nancy) DiDonato, Vince DiDonato, Darlene DiDonato and Lisa (Dan) Puhala, all of Pittsburgh; and Dearest cousin of Larry (Sally) Tabella of McKees Rocks, PA.
Marie was an independent woman who sought life and peace on her terms, and her friends and family loved her for it. She was a wonderful, warm friend to many who cherished her company and the pure love that being her friend brought. Marie spoke often with pride and gratitude about her professional life serving the inspiring young women and staff of the Lake Erie Girl Scout Council. She lived many years on Cleveland's westside and in Brooklyn, becoming a lifelong fan of her beloved Cleveland Indians, Cavaliers and Browns. Her retirement was spent taking bus tours of the northeast U.S, visiting her favorite places in Cleveland and always enjoying both the moment and the people that she was with. Her final years were spent in sunny South Florida living with her family and enriching their lives immensely, a precious gift to them for which they will be eternally grateful. Family and friends will be welcomed on Sunday from 1-3pm in the Sanvito Funeral Home, 1650 Broadway, Stowe-Kennedy Twp., PA. A prayer service will take place at 3pm in the funeral home. Interment will be on Monday 11am at Resurrection Cemetery, Moon Township. Please meet at the Cemetery.